By Ed Runyan | May 16, 2018 at 12:06a.m. 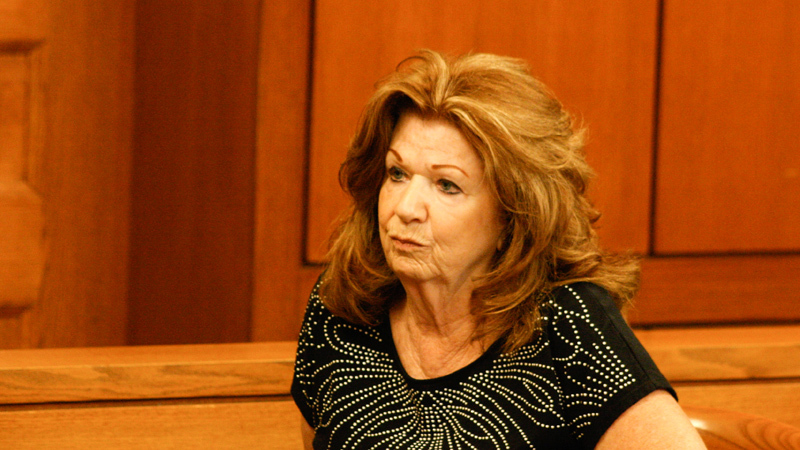 Saying she had given Judy Infante “the benefit of the doubt that she did not realize the breadth or extent of the criminal activity of her husband, Ralph Infante,” visiting Judge Patricia Cosgrove gave her a year of probation Tuesday. The sentence was for the two counts of falsification – one a felony and one a misdemeanor – to which Judy Infante pleaded no contest last month. The judge found her guilty. The charges were for failing to report tips Judy Infante earned while working at the ITAM No. 39 bar she and her husband ran in McKinley Heights. Judge Cosgrove told Judy Infante she will be eligible to have her probation end in six months if she stays out of trouble with the law. Judy Infante must perform 50 hours of community service. Her tax returns were corrected and the taxes paid, and she owes no restitution. Ralph Infante, 62, the former mayor of Niles, was sentenced to 10 years in prison Friday after being convicted of 22 charges – engaging in a pattern of corrupt activity, 13 counts of tampering with records, one of having an unlawful interest in a public contract, two of theft in office, four of gambling and one of falsification. Judy Infante did not testify at her husband’s 11-day trial in Trumbull County Common Pleas Court. Judge Cosgrove ordered Ralph Infante to pay $51,158 for the cost of the investigation and prosecution of his case and $999 in restitution related to a theft-in-office conviction involving the sale of scrap metal for cash. After Tuesday’s hearing, Chris Rudy, an investigator with the Ohio Auditor’s office, turned in $15,100 in cash to the Trumbull County Clerk of Court’s office at the Trumbull County courthouse. Judge Cosgrove ordered that the clerk of court’s office hold the money until appeals are completed in the case. Then it is to be used to pay court costs and then applied to the cost of prosecution. The cash was confiscated during a Feb. 1, 2016, raid at the home on North Rhodes Avenue in Niles that the Infantes shared with Judy Infante’s daughter, Michelle Sudzina, and her family. Atty. Dan Kasaris of the Ohio Attorney General’s Office, lead prosecutor in the Ralph Infante case, said because the home is no longer titled to the Infantes, prosecutors will not try to secure that asset to pay the cost of prosecution. An effort will be made, however, to obtain money from Ralph Infante’s Ohio Public Employee Retirement System account to pay those costs. That is handled by attorneys in Columbus. Kasaris said there were no other assets seized from Infante’s house or the ITAM that can be applied. Judge Cosgrove said Tuesday’s hearing “brings to a conclusion” her participation in the Ralph Infante case. It began with Rudy and Speer arriving in Niles in the summer of 2014 to begin an investigation, followed by indictments against the Infantes and a city worker in November 2016 and the Infante trial. February 15, 2018 12:10 a.m.
December 6, 2016 12:05 a.m.